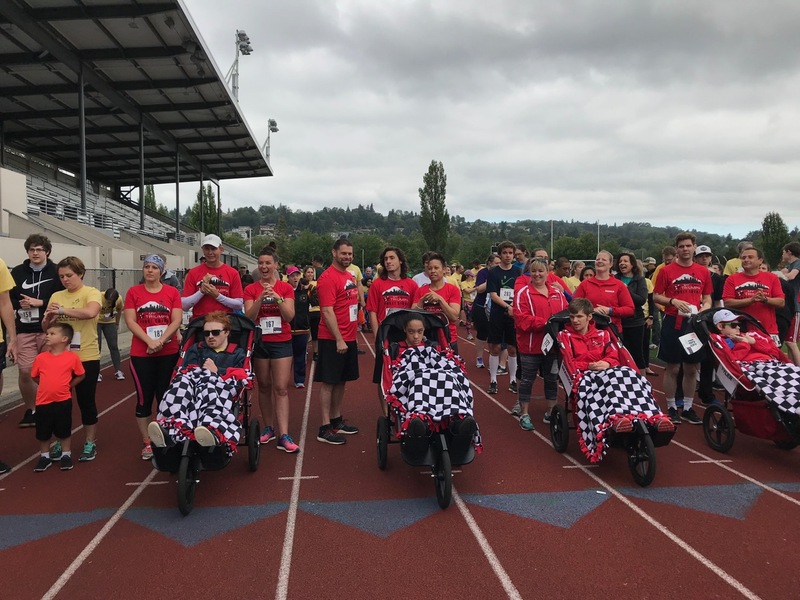 Today the Woodland Park Zoo joined The Arc of King County, and others, in support of a 5k race at Renton Stadium, Renton, Washington. The Arc serves children and adults with intellectual and developmental disabilities, and their families, from early as a prenatal diagnosis throughout their lifetime. The Zoo employees and volunteers emphasized how the Zoo is family friendly and a accessible place for any challenged guests wishing to visit. On 5 July 2018 the Woodland Park Zoo will introduce “Zoo For All.” Events will be created to celebrate the diversity within our greater community. This day will be tailored to better accommodate those with differing needs, including those with physical, cognitive or sensory disorders. See this link for further information. The Rhino hats were made by Zoo employees and guests from expired Zoo maps. Very clever!! About 200 athletes competed in the mornings race. Everyone had a great time!